More than ever, digital tutors are teaching eager learners. Carnegie Mellon University’s Vincent Aleven sees big opportunities for digital tutors, backed by his 20 years of research in artificial intelligence in education. His current research is making them more adaptive to the similarities and differences of learners. Imagine how a teacher might be adaptive in instructing students on a geometry problem. Drawing from a toolkit of strategies, he or she might consider how far they have come with the problem and give a hint to push to the next step. The teacher might determine the current problem is too difficult and redirect attention to a simpler task that will reinforce some of the basic concepts. These actions, of observing and selecting a tutoring strategy, demonstrate a concept called adaptivity. "A common view is that instruction tends to be more effective when it adjusts to learner differences. However, it is equally important, perhaps even more important, that instruction is designed with a good understanding of the similarities among learners, such as hurdles in a new task domain that are challenging for all learners. Those may be the same for many learners, even if they experience them at different points in time," said Aleven, associate professor of human-computer interaction in the School of Computer Science. Aleven considers adaptivity powerful. 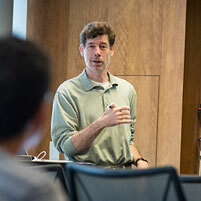 He, along with colleagues including Ken Koedinger, professor of human computer interaction and psychology, developed the Adaptivity Grid as a tool to help organize the many research results in this area, which may provide guidance to developers as they decide what kinds of adaptivity to build into tutoring systems. The Adaptivity Grid shows three columns, which capture three ways in which digital tutoring systems can be adaptive to learners, namely, in their design loop, task loop, and step loop. In the design loop, the system designers use data about the targeted learners in the given task domain to create a new version of the system that is better adapted to these learners. In the task loop, the digital tutor picks problems for the student. In the step loop, the digital tutor provides assistance during steps within the problem. The Adaptivity Grid's horizontal rows show what a digital tutor can adapt to, related to the learner's traits, states, or actions. This work is part of the university’s Simon Initiative, which is designed to set the university up as a learning research lab that supports data-driven, continuous educational improvement. In addition to his research in adaptive learning software and the Adaptivity Grid, Aleven is making it easier to author intelligent tutoring software, by creating authoring tools that do not require programming. His work could improve intelligent tutoring systems (ITS)—such as Cognitive Tutor and Knewton—as well as massively open online courses (MOOC)—such as edX and CMU’s Open Learning Initiative (OLI). "By bringing educators together with technology, online learning environments can improve to provide tools that people want to use, and sophisticated forms of adaptivity will help them to learn," Aleven said. Aleven recently presented on this work as the keynote speaker for the European Conference on Technology Enhanced Learning (EC-TEL 2016) in Lyon, France. How Does Active Learning Impact Critical Thinking, Creativity and Innovation?